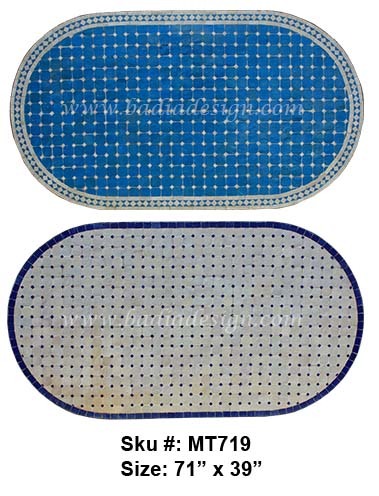 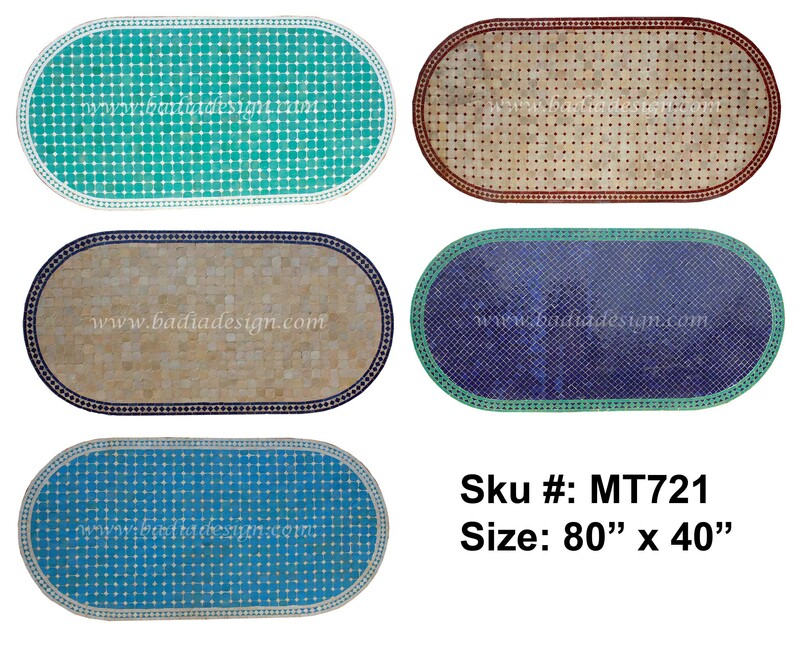 Badia Design Inc. – Below is our newest line of decorative Moroccan Mosaic Oval Tile Tables. 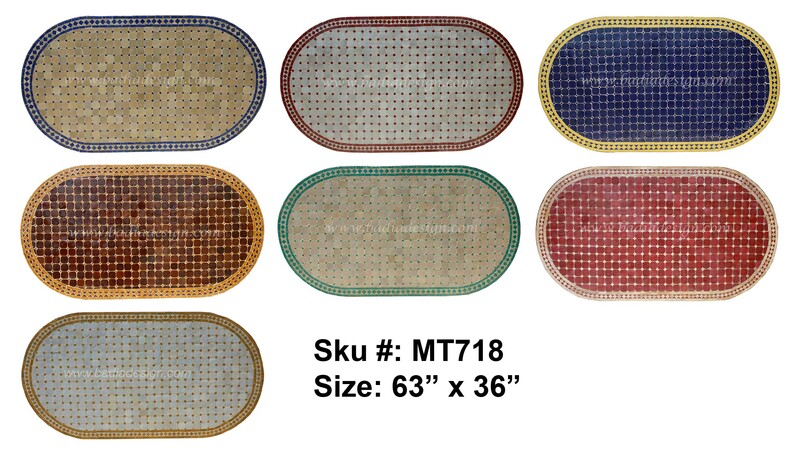 Their brilliant colors and patterns make them an easy fit for indoor or outdoor festivities. 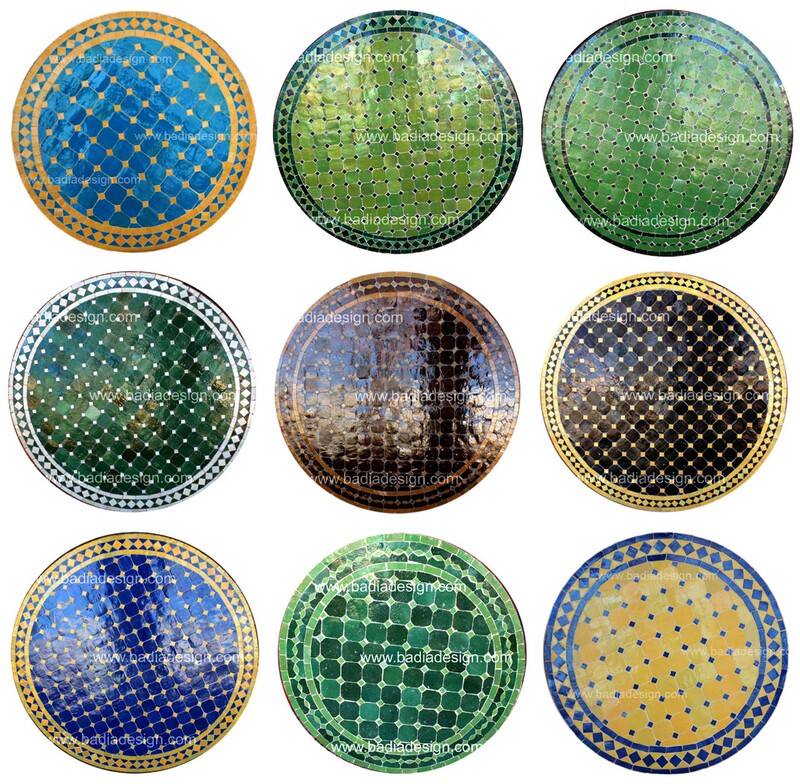 Add to them our Moroccan iron tile table base and chairs for dinning, bistro, coffee, and patio activities to fully enjoy the artistic and exotic Mosaic Tile Table set. 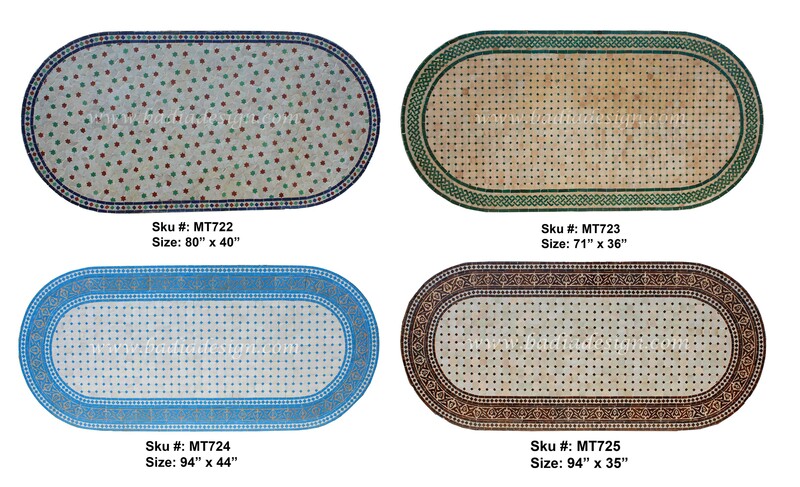 Our Moroccan oval tile tables come in different sizes with colors that range from brown-beige, multicolor, green-blue, blue-white, and burgundy-terracotta – all hand designed with the same zellij, Andalusia, and Alhambra techniques. 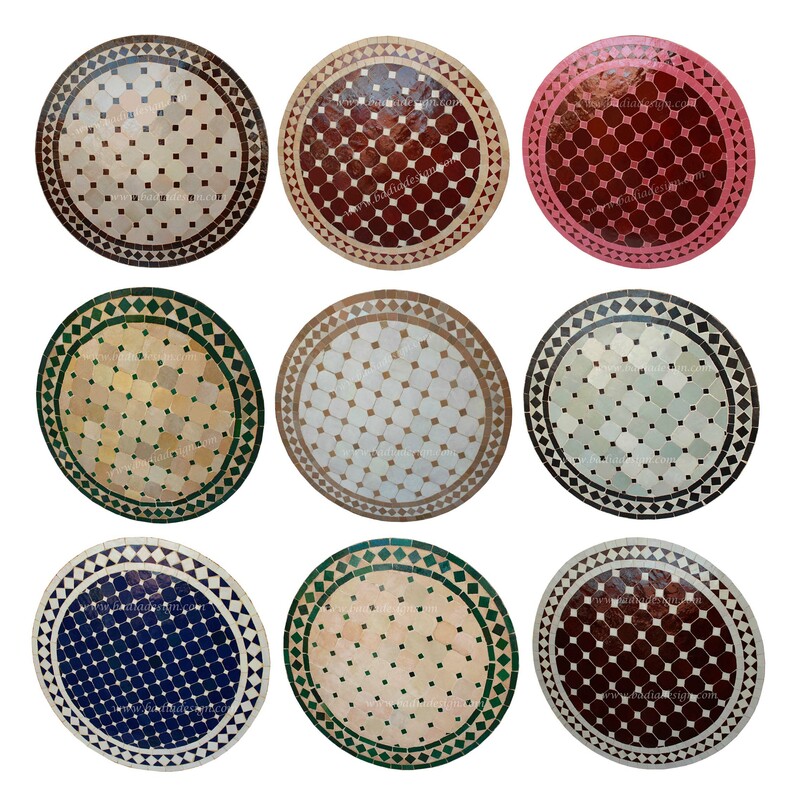 For detailed information and pricing on all of our Moroccan Mosaic Oval Tile Tables, please visit our website at: www.badiadesign.com. 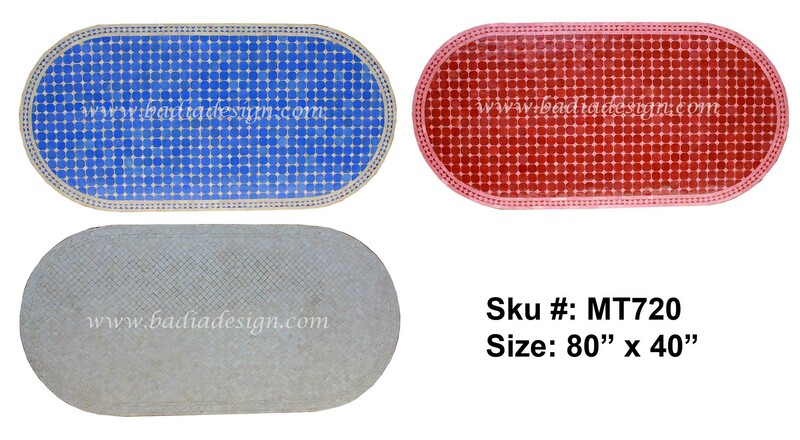 You can also email us at info@badiadesign.com with any questions.